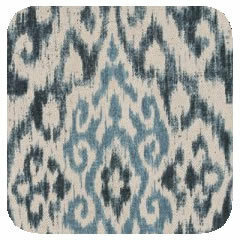 This ikat print features tones of blue. 80% Cotton 20% Linen. Dry Clean.